Everyone accumulates a lot of designs pretty quickly, when you love to do embroidery. And, it’s easy to forget where the one design is, that you just purchased, and wanted to use, if you don’t have a system to organize them. “I just download some new designs and now I can’t find the one that I want. 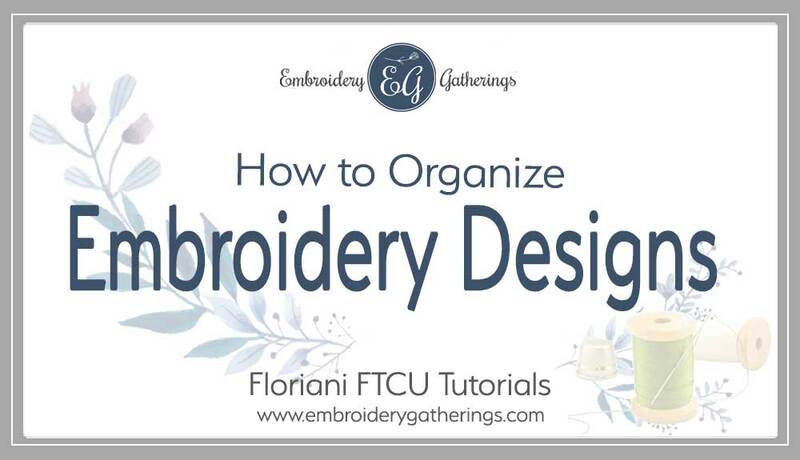 There are multiple ways to organize your designs. Start now and organize a few of your design files at a time. Eventually, you will have a system that works for you! That’s a very usable plan. You can go to the “dog” folder and look through all the designs to find a dog that you would like to embroider. Initially, I started with this strategy. But, there is a problem with this plan. You cannot tell who made the design and what the user rights are for those designs. 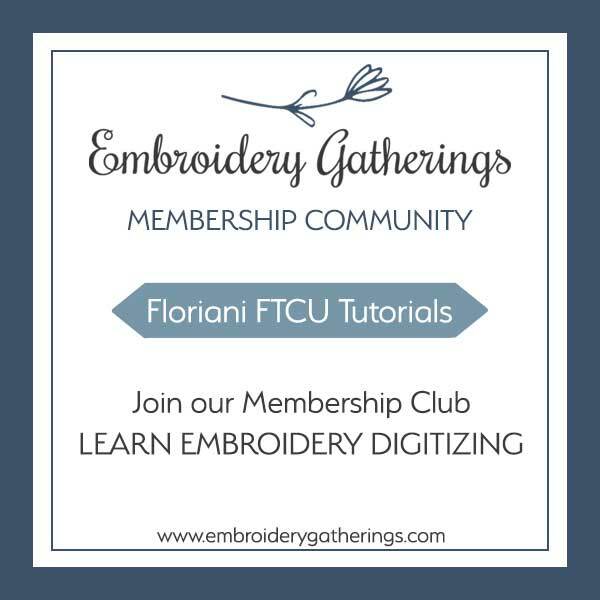 Some digitizers allow you to stitch designs to sell and others do not. Others are personal use only. How will you know? 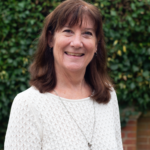 This is the system that I have used for years and it works really well. I have talked to a lot of others who do it this way also. This system seems to work the best as a long-term solution with thousands of designs. After you set up the main folders, then I go back to each of those folders and add a few sub-folders. I usually only start with a few and then add more as I sort the designs. Now, you can start saving all of your new designs to the appropriate folder immediately. And, little-by-little, go through all of your design files and move them to the appropriate folders as well. 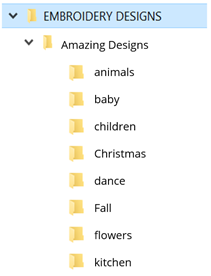 The next time you are looking for a particular flower design from a certain company, just look in the folder for that creator and under the FLOWER category. For some reason, it seems easy to remember who made the design. So it’s pretty easy to get the right folder on the first try. You may still have 20 design files of flowers, but at least this narrows it down a bit for you! It’s much easier than looking through 500 design files! I have found this system to work very well for finding my designs. And, as I keep collecting more designs, I can adjust the categories and add more as needed or even combine some. Making backup copies is easy too. 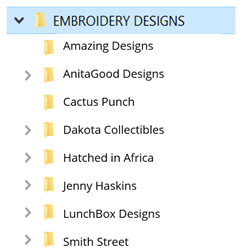 Just copy the entire EMBRODIERY DESIGN folder to a backup location (example: external hard drive) on a regular basis. Had just signed up for the monthly membership. How do I change it to the Annual Membership?